In today’s modern day and age with a ton of technology at our fingertips, staying healthy, active and keep track of it all has never been easier. There are dozens and dozens of health, fitness and nutrition apps out there. How do you select which ones to use with so many options? Well, this article will hopefully help you out as I go over 4 of the best apps out there when it comes to health and fitness. This is a great app from a company that has done it before. This (as you could tell by the name of the app) is from the same guys that brought you Map My Run, Map My Ride and more. This is a general fitness app that gives you access to a number of different activities and can track your progress through all of them. 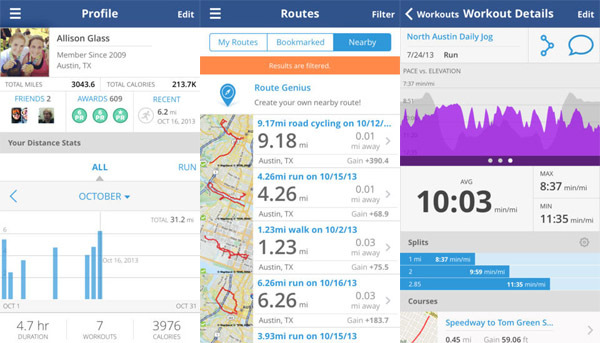 And like the Map My Run app, this app tracks all of your activities via GPS. 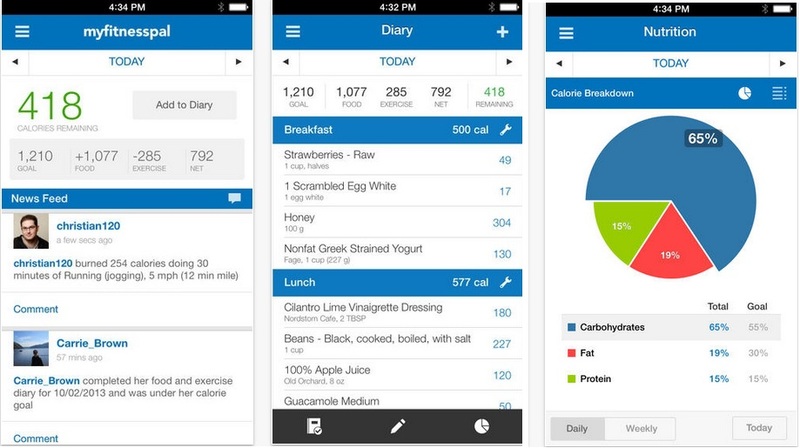 This app is fantastic and is basically like a nutritionist in your pocket. In prior years you would have to pay someone a fair amount of money to plan out your meals and caloric intake for you, but now, this app can do that for you at a much much lower price. 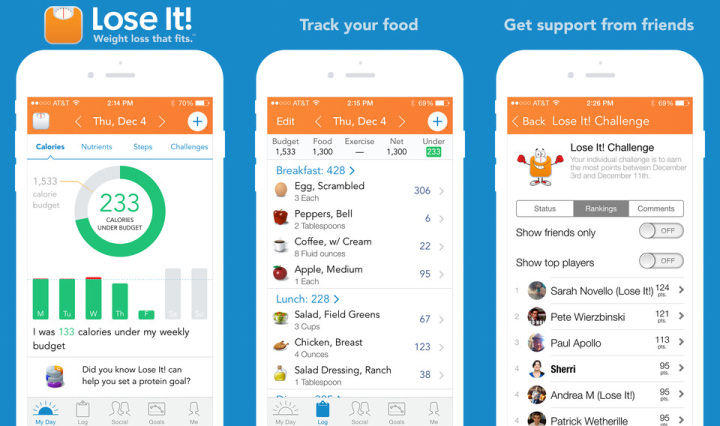 This app can track your food intake as well as your fitness activities. The app records your age, gender and fitness goals, and the app will then create and construct a calorice intake based on how much you burn and how much you take in. This is without a doubt one of the most popular and comprehensive apps out there to monitor your fitness in all ways from diet to exercise. It can do all of the things these other food tracking apps can do, but is likely the easiest one to deal with. This is simply because of the huge amount of different foods and drinks in its database. Whatever you eat, there is a good chance this app will recognize it and be able to input it into your diet tracking tool with ease to give you the most accurate result possible. Now if Lose It is like a nutritionist in your pocket, this app is like a personal trainer in your pocket. This app will assess and record your information and goals with a simple set of questions. 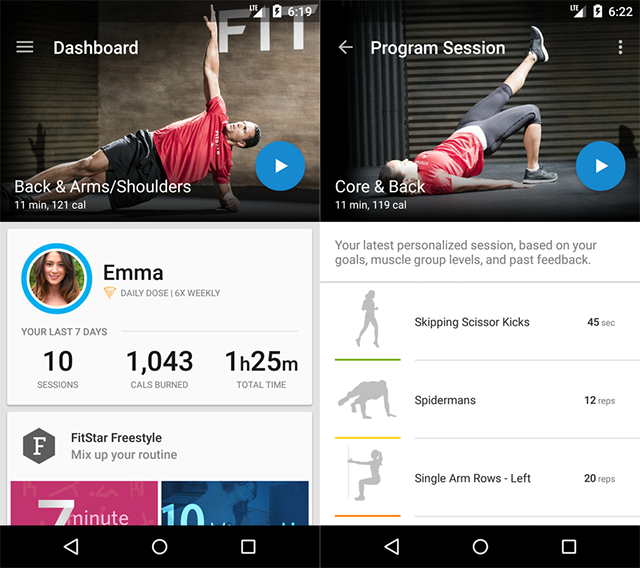 Once it has what it needs, the app will tailor a perfect workout for you (with the help of some post workout questions). These questions help the workouts be dynamic to ensure that they are challenging, but not impossible. Also, the app was created by Tony Gonzalez, who is one of the best Tight Ends in NFL history, so you know its good.